The Nexus 4 India release saga is something that continues to rumble on, much to the frustration of many people still waiting for the phone to officially release in the country. Since it was first released for other regions, months have come and gone and there’s still no sign. We know from many comments we’ve received from our readers in India that this is becoming very annoying for some people and now we wonder if the Indian launch for the Nexus 4 could come too late. Despite India now being named as a supported country on a Google Nexus microsite and the Nexus 4 appearing there for sale, we then noticed that the order page also said it was not available yet in India. Google also issued a recent statement about the Nexus 4 for India saying that there was nothing to announce yet. Now this sorry tale seems to be carrying on further with an official release still looking at least several weeks away. Another availability date has appeared on the Saholic website giving a new Nexus 4 date of April 30. That will seem too far away for many people and of course we cannot rely on this date, bearing in mind Saholic’s recent record of availability dates. It does seem likely though that this will be the very earliest the Nexus 4 may officially arrive for India, although of course it could be later than this. A lack of communication from Google or LG regarding the absence of the Nexus 4 launch in India hasn’t helped consumers feel any better about the situation either. There is a certain amount of speculation that the missing Nexus 4 could have been delayed due to a dispute about pricing between Google and LG with LG apparently wanting to set a higher price for the phone in India than some other regions, such as the US. However nothing official about the delay has been forthcoming from either company. In our most recent post about the Nexus 4 for India we had a big response from our readers in the country regarding this. The vast majority of comments suggested that potential Nexus 4 customers felt let down by Google and LG and that as consumers they were being treated badly, with one reader suggesting that Google didn’t feel the Indian market was worthy enough. Others told how they had now been waiting too long and that sales would be lost as people purchased alternative smartphones instead. It does look then as though the failure of Google and LG to launch the Nexus 4 in India so far is having a negative impact on consumer feeling and that by the time it officially hits the shelves there it could be too late. Customers don’t like to feel as though they are being messed around and with so many other great smartphones launching such as the HTC One, Sony Xperia Z and Samsung Galaxy S4, you can’t really blame them for looking elsewhere and we can understand how people will feel aggrieved about this. We’d like to hear your thoughts. Are you a potential customer for the Nexus 4 in India? If so, will you wait as long as it takes as you still want this particular phone? Maybe you’ve already given up and have decided to purchase an alternative handset? Do you think that consumers in the Indian smartphone market deserve better? Let us know with your comments. ha ha no…many other devices ll come out nw….who wants to buy lg nexus…..
google and lg are bunch of greedy f*****g a******s. whats their f*****g problem to launch n4 here… still how much longer r v supposed to wait… if the pricing is like brazil’s n UAE’s, then to hell with it. I am waiting for the official release. My next phone will surely be a nexus. Cmon Google release it here…!! I am not exactly waiting for nexus 4 but definitely considering to buy, of course the wait is little long. Fair amount of delay is expected in India also generally we get used to that. But it does not mean i’ll wait until the phone is launched. At some stage we’ll move to other phones in the same price bucket. I can imagine one thing by the time it is launched the price will be much higher than regions and we’ll end up ditching it. Can i buy the phone from US and use it in India? thats the difference between samsung and lg i guess… and the reason where lg is compared to samsung in the smart phone market today…… I surely wanted to buy the nexus 4…. but then now i got myself a note 2….who the hell cares for gogle and lgs high nosed attitude…..
Samsung did the same with the Galaxy Nexus. If you are willing to let go of the warranty, the best option is to ask somebody in US to get it for you. Else if you are okay with shelling out close to 4K above the Google Play listed price, there are a host of 3rd party sites that can be used. In any case, when it launches here, don’t expect the MRP in India to be anywhere close to that in US. Its really annoying that in India its yet to be released. In India some of the online retailers are charging like hell. People like me really would like to have Value for Money nothing else. Its truly bad. Hopefully when LG launches there phone in india they will get good response, or else some of the competitor may fetch there product. EOD patience wont be keep for longer time. I think LG is to blame for the delayed launch of Nexus 4 in India. They have just launched Optimus G in India at very competitive rates compared to last year flagship from HTC (one x +) and Samsung ( S3) which are currently retailing at a much higher price. At the moment Optimus G is the best android can offer in India in terms of latest technology and performance and is still cheaper than last year’s flagships. So if they launch Nexus 4 they will have to do it at a much lower price point ( almost close to the price it is sold by Google Play Store is US) than their Optimus G because of fixed memory/battery and a lesser resolution camera Nexus 4 offers. And LG is afraid that if they do so then their Optimus G sale will crash as buyers would prefer Nexus 4 as they are assured of next 2-3 android updates with it. For LG it would of course mean that they will take a big hit on their bottom line and hence the delay !! Don’t wait for there official launch just get via import or ebay. Now i am going to wait for next Nexus release which is expected in May 2013 during google i/o….which sure will be with latest features and improved.. This time not going to wait till release in india and going to buy directly from US through some friends. I dont think google wil release Nexus 4 in 2013/2014. If Google saw potential to make money in India, the Nexus 4 would have already launched there. Google plays a very different game than, lets say Apple. Apple makes money by selling devices. That is why you can buy iPhones easily in India because they charge you so much for the device. Google makes most of there money out of selling apps and from advertising. If many people dont buy apps in India, what is the point of releasing a $300 phone, which is arguably better than the iPhone 5, if they are not going to make money. That is why the Nexus 4 costs $300 – $350 while iPhones cost $700 – $1000. Google and any other company only cares about money. You fail to understand his point. Google has subsidized Nexus 4 pricing. Unlocked Apple phone would sell for $500+, thats a whopping $200 subsidy. If Google thinks it wont be able to recover the $200 from Android market in India, it wont be feasible to sell the phone at same price. Having said that, its not like a lot of customers in US “Buy” apps from google play – that defeats the purpose of an Open Source Software. Buy It On E bay for 26,000 only – I Dont think you can get better price then this. Its the best deal you can not find anywhere.Deal is on for 3 days 77 Sold / More than 10 Available. I have Import Nexus 4 from USA and it cost me around 26,000 INR – Its now 1 month i am using it and its a great phone in terms of looks , price . performance like Software & hardware.You regret yourself if you miss this time because once it gone you will never get the same deal again maybe. Can you tell me about the warranty that you got…?? Will you be able to use it here in India. ?? Or you have to ship it to US if some problems occur?? it’s useless to buy 6 months old phone, wait for 6 more month we will get nexus 5. I’m already eyeing for Google X Phone which is gonna released in June…Who is gonna buy Nexus then? when it was realese.most of customer is waiting. frustrated with all these rumors, i picked one up from the middle east for RS.29,000. i was luck a friend of mine was flyin down 2 days after its release there. Google and LG need to get their act together here.. they are loosing a lot of customers in India. Nexus 4 , Nexus 7 and the upcoming X phone… the script will be same . Hype ,launch and then speculation and finally disappintment. I dont think google is taking Indian nkt seriously unlike Samsung which will surely backfire in days to come . Go to hell, I am buying Sony Xperia SP now. Google is merely underestimating the power of Indian market, once it recognized it like Apple it will definitely start pouring in..
google earns money through apps that is however right, so if it looses money at one point in india , it does not give google the right to demolish peoples dreams here, i live in india, and no one would ever get to the point of frustration i m, i hav tried many things looking through the customs duty on goods imported in india through amazon, but every thing just rises the price to 30k approx, and that in return will gonna reduce googles image here in india, sure google is one of the greatest companies i like, but its a business and u loose some where and gain somewhere else..
Google has nothing to loose here. They know that people who might not get Nexus 4 may buy another android phone as Google are the market leaders in OS. They would have got affected only when people avoided android phones, but that won’t happen. Hence they continue to ignore Indian market. 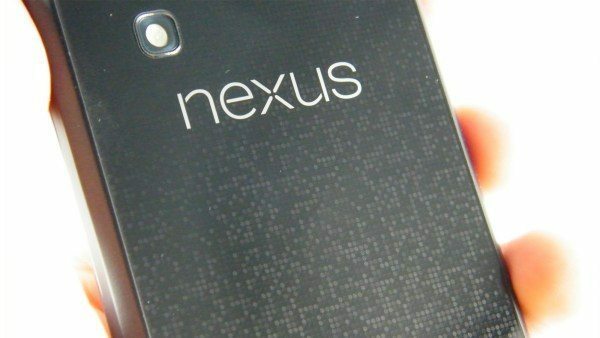 In the history of Nexus phones only one has released ever that too so late. Good-bye Google, even if you launch now,nobody cares,I am switching to Sony Xperia Z, screw you,you guys messed up, big time. I even went ahead to get a Nexus 4 direct import from US using a freight forwarding company. But Google rejected my order because of Indian credit card. On Amazon US site, same model is available for $50 or more. Adding duty and shipping, its no more VFM purchase. So I bought another phone. Why can’t Google use acquired Motorola for hardware. LG mobiles anyway sux big time in India. India is the “third world”. How can they buy smart phones when they are all starving ? This is the mentality in the US. The management won’t be too keen to launch in India because even if they did they know they won’t sell as many phones as US, Europe, China or Japan or Australia. So they can’t bother. Apple followed this same laziness and snooty behavior and look at them now, begging and scraping to expand into India, now that their Iphone is outdated and crude compared to the latest from Sammy.